Jockeys valet Chris Maude fears a suspension of racing for any longer than a week could have dire financial consequences for certain tradesmen. With the sport currently in the middle of a six-day shutdown due to equine influenza, Maude, along with several other occupations, is unable to earn any money. 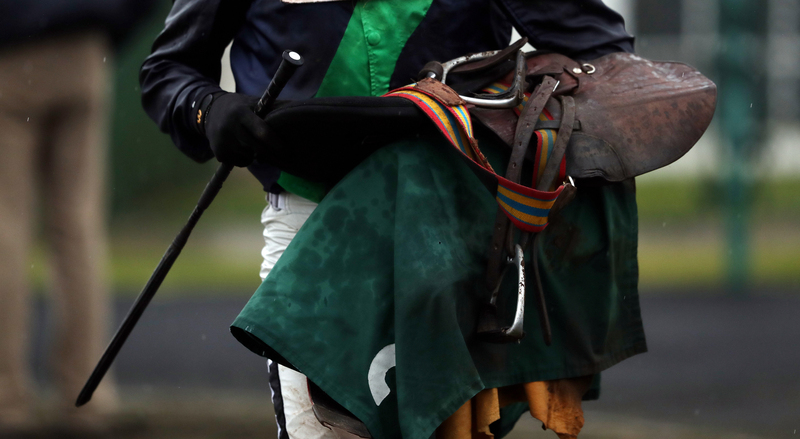 Valets look after jockeys inside the weighing room making sure they wear the right silks, weigh out correctly, have clean boots, breeches and goggles and generally make sure all the jockeys have to think about is riding. With no racing, though, valets earn no money. “It’s obviously not great because I have five full-time employees,” said former jockey Maude. “I’ve been saying it’s a bit like bad weather – when you are off five or six days you do catch up. All those horses that were going to run then run somewhere else, but any longer than a week and we’ll be in serious trouble. “Last year we lost a lot of racing because of the snow, but any longer than a week and it really hits the coffers and you just can’t catch up. “I’m paying wages out, but I’m getting nothing in. “You always expect a few days of bad weather at this time of year, but if it gets beyond a week it’s not physically possible for the British Horseracing Authority to put on all the extra meetings. Chris Broad is one of the busier jockeys’ agents and while he admits a few unscheduled days off at what is normally a busy period has come as a bit of a relief, he is now ready to get back at it. “Don’t get me wrong, not getting up at 4.30am every day is nice for a few days – but we want to get back to work,” said Broad. “I’m itching to get back to it, fingers crossed we will hear what we want to hear on Monday. “I haven’t been moping about, I’ve been making the most of the few days doing things I don’t get the chance to do with my family, like going out for supper. “There are lots of people affected, not many jump jockeys have a retainer so it will soon start affecting them. “It does no good people like me speculating when we think we might get going again, I’m not a foot solider doing the tests. “If it’s just a week, then we’ve all got the chance to recharge out batteries – every cloud has a silver lining – but we’ve soon got bored in a couple of days.